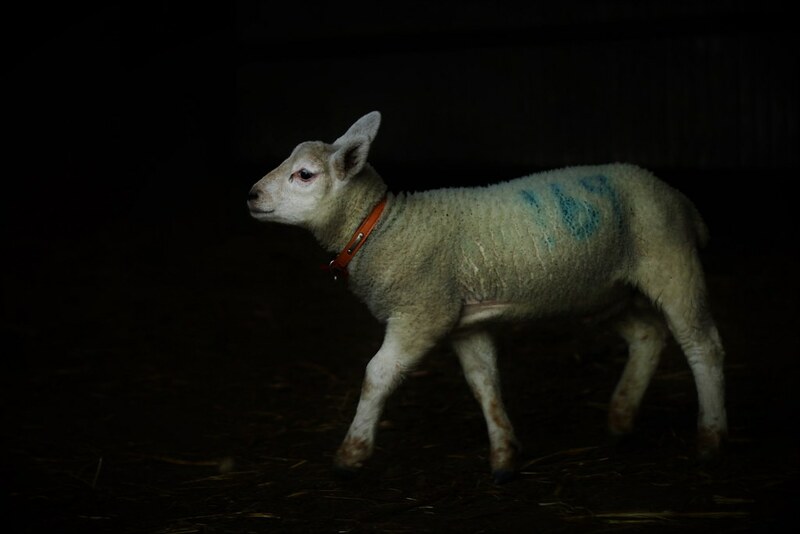 Every year there are some lambs who stand out from the crowd. Bart is one of those. 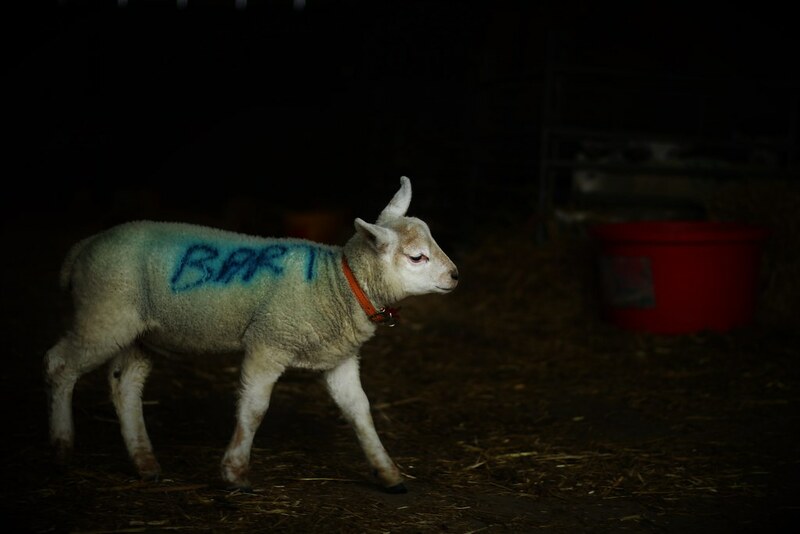 Bart was starving in a pen with his mother and other ewes and their lambs. We brought him back to the lambing shed, fed him and hoped for the best. He could barely stand. Over the following days he gained strength, but there was still... something about him. 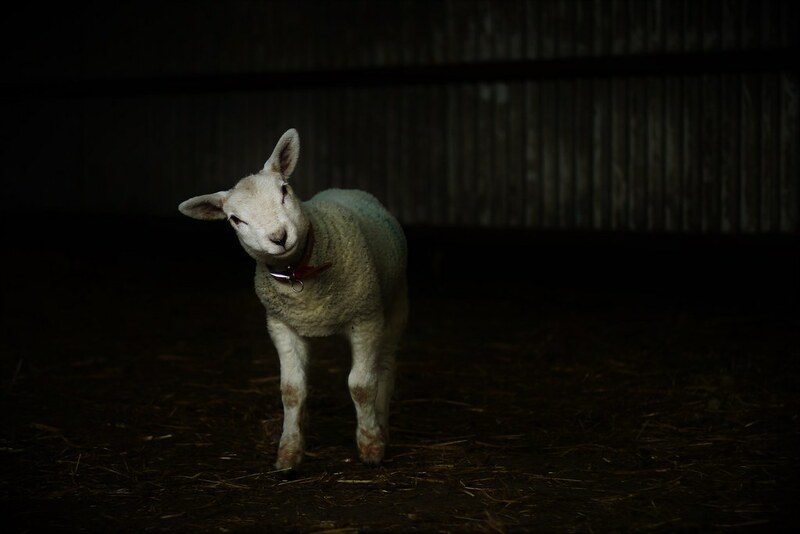 It didn't take us long to work it out; the lamb was blind. 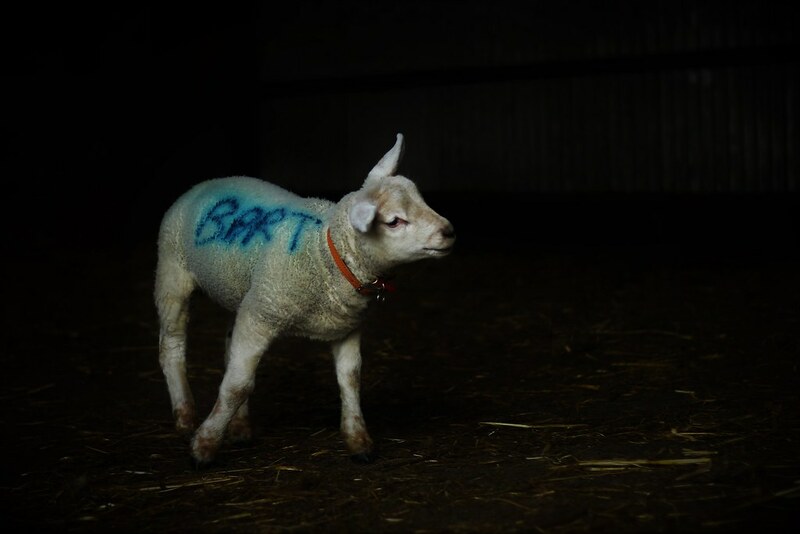 My dad dubbed him Bart, and wrote in on him because... I guess he thought he would forget. 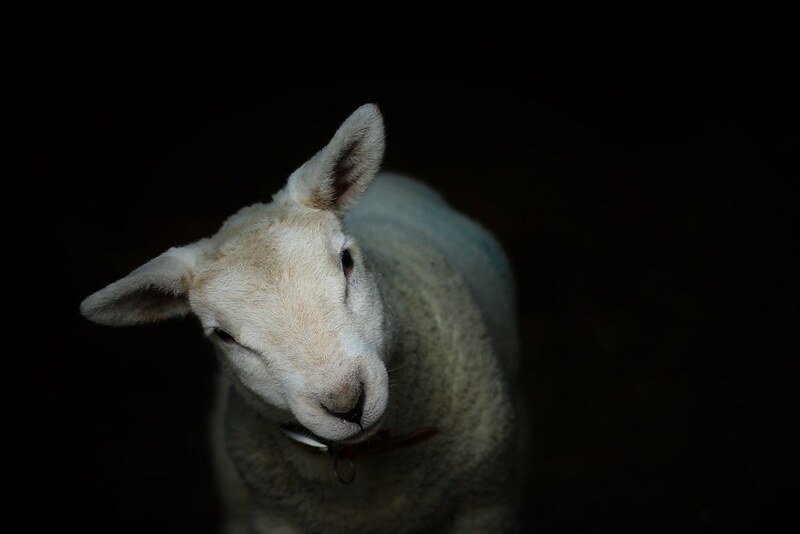 Bart was in a pen with several other lambs, but he wasn't happy. The others were trying to play with him, but they were too rough and didn't understand that he couldn't see them. He became so scared he wouldn't stand up straight. So we put him in a pen on his own, gave him lots of hugs and cuddles and a collar with a bell on it so we could find him if he got lost. 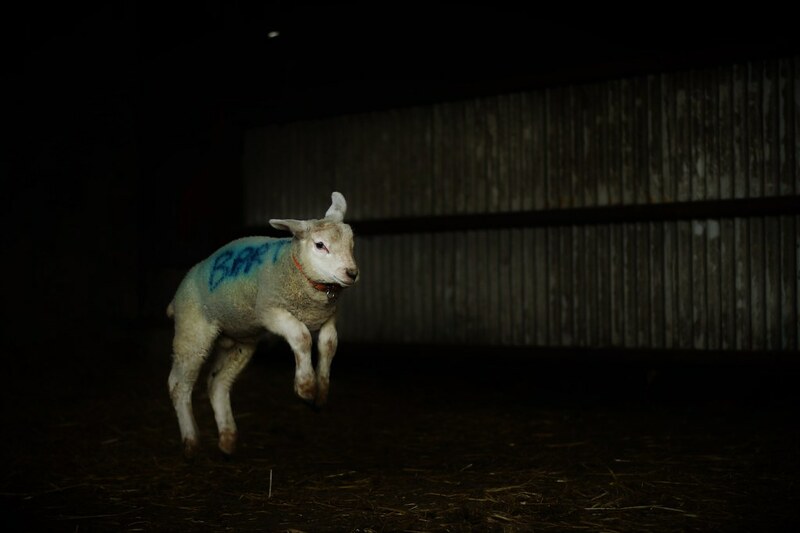 Every morning Dad lifts him out of his pen and he's off, prancing and skipping. He doesn't let his blindness slow him down. He may bump into things now and again, but he's happy. Bart is lucky you were able to figure out his problems and help him. He is a handsome fellow! 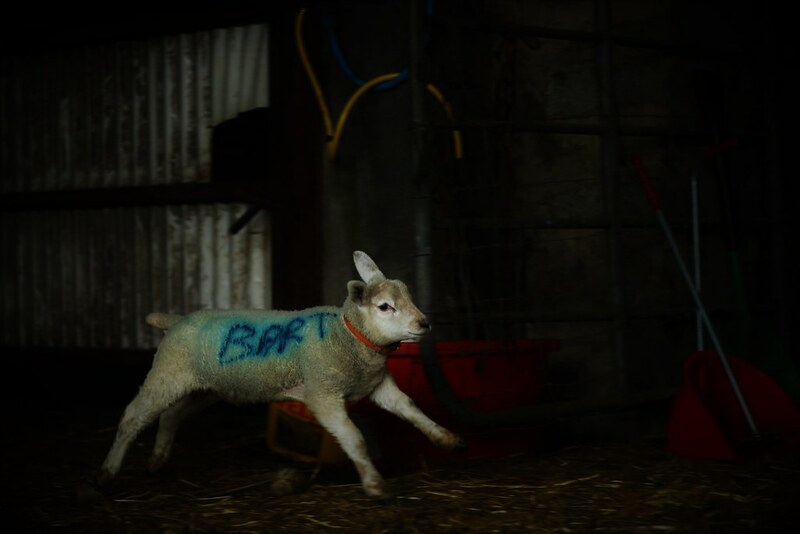 Bart is clearly a very special lamb!